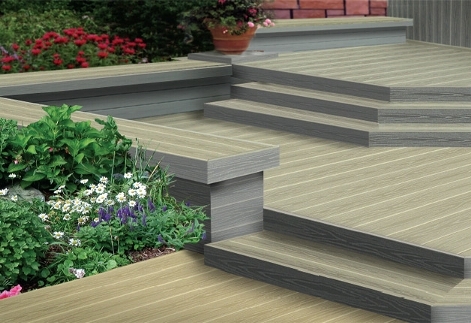 With the cellular technology and unique formulations, Everwood composite vinyl decking systems create the strongest and toughest decking board in the industry. Exclusive formulation composed of virgin vinyl and natural fibers only, the Everwood Deck system guarantees excellent weather and flame resistance. 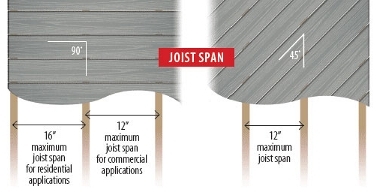 Strong, dense surface prevents scratching, even in high-traffic areas. Available in semi gloss or wood-emulated slip resistant surface. Now you can have the beautiful look of wood, combined with the durability and long life of vinyl in one easy to install vinyl decking system. decking board in the industry. weather and flame resistance. ??? drill, NO special training needed. for a beautiful finish. ??? 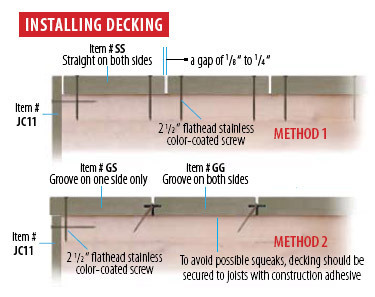 there are two methods to install deck board. glued on to joists with construction adhesive. temperature at installation. See chart on right. could be a half of the end-to-end gapping. Buy vinyl decking at a low price contact us today! We are a vinyl deck wholesaler offering A+ client service for vinyl & composite decking.